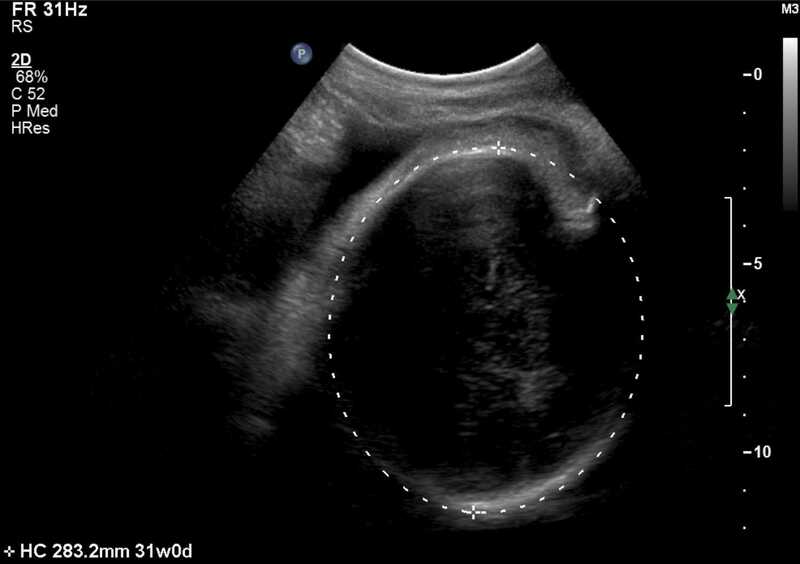 This pathway provides guidance on the imaging assessment of pregnant patients for fetal well-being in the third trimester. 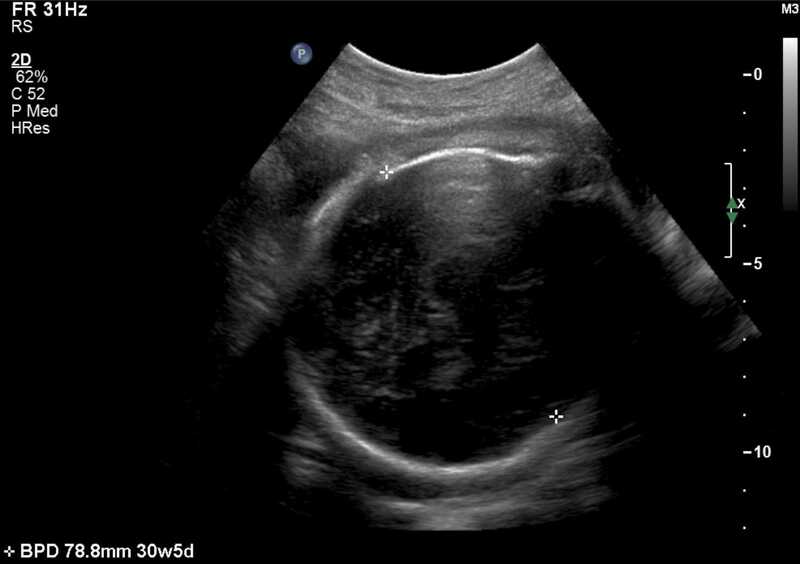 Image 1a,b,c (Ultrasound, 33 weeks gestation): The fetus is in a cephalic presentation. The placenta is situated on the posterior uterine wall, clear of the cervix. Measurements: Biparietal diameter 78mm, Head circumference 283mm, Abdominal circumference 266mm, Femur length 58mm. Estimated fetal weight 1625g +/- 237g. 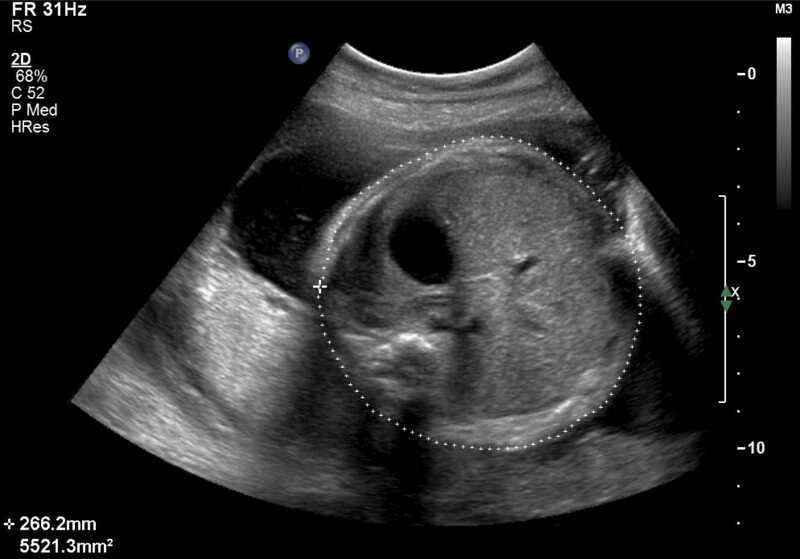 Amniotic fluid volume is normal (Amniotic Fluid Index = 12cm). On Doppler imaging, there is reverse end diastolic flow in all sections of the umbilical artery evaluated. 1d Image 1d (Fetal Biometry Chart, 33 weeks gestation): The above measurements are all below the 3rd percentile.